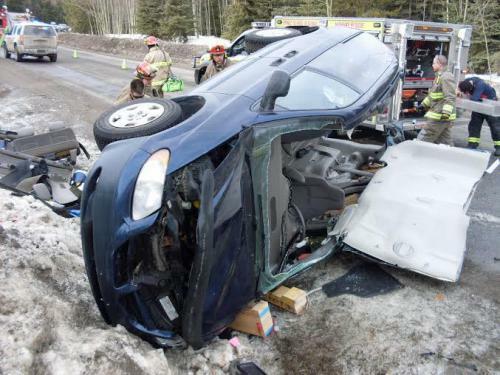 There was a roll over on Chief Lake Road on Sunday, March 16, 2014. Just after ten o’clock in the morning PGRHR and Pilot Mountain Fire Department were called the scene of a minivan that had rolled onto its side. The incident happened near the intersection of Chief Lake and Discovery Roads. There were two people in the vehicle when it rolled over; a child and woman driver. Crews were able to remove the child before taking extrication steps. The driver was extracted from the vehicle and taken to hospital with unknown injuries. We train with many different tools. We strive to keep our toolbox current and relevant to our location, conditions and situations presented in our region. Please watch this short video on reciprocating and hand saws.